Alan Turing cracked the German’s Enigma Machine encryption during WWII; and, in 1950, Turing says that computer programs could be taught to think like humans. He develops the “Turing Test” to put a computer’s behavior to the test to determine if it has “human intelligence;” it’s still used today. John McCarthy, an American computer and cognitive scientist, coins the term “artificial intelligence” during a workshop at Dartmouth College. Frank Rosenblatt designs the first neural network for computers, which simulates the thought processes of the brain. The U.S. Department of Defense forms the Advanced Research Projects Agency (which is later renamed DARPA) to facilitate research and development of military and industrial strategies. Arthur Samuel, an IBM computer scientist and a pioneer in computer gaming and artificial intelligence, coins the term “machine learning.” He also creates the first self-learning program, which was a game of checkers. The U.S. Department of Defense began training computers to mimic basic human reasoning. ELIZA, an early natural language processing computer program, was created at the MIT Artificial Intelligence Laboratory by Joseph Weizenbaum. ELIZA was created to show the superficiality of communication between humans and machines, and “she” simulated conversation via a pattern matching and substitution method to give users the illusion of understanding on her part—even though the software program didn’t have the ability to contextualize events. ELIZA was one of the first chatterbots. Shakey the Robot, developed by SRI International, was the first to embody artificial intelligence—it could perceive its surroundings, logically deduce implicit facts, navigate, make a plan to achieve a goal, monitor the execution of a plan in the real world, recover from errors in plan execution, improve its planning abilities through learning, and communicate in simple English. Researchers develop more expert systems with applications in biology, medicine, engineering, and the military. Jane Robinson and Don Walker establish a Natural Language Processing group at SRI. The Stanford Cart, built by Hans Moravec, is the first computer-controlled autonomous vehicle after circumnavigating a chair-filled room at the Stanford AI Lab. Work on machine learning shifts from knowledge-driven approaches to data-driven approaches. Scientists begin creating computer programs to analyze vast amounts of data and to draw conclusions or “learn” from the results. The U.S. military uses the DARPA-funded Dynamic Analysis and Replanning Tool (DART), an AI program, to schedule the transportation of supplies or personnel and to solve other logistical problems. 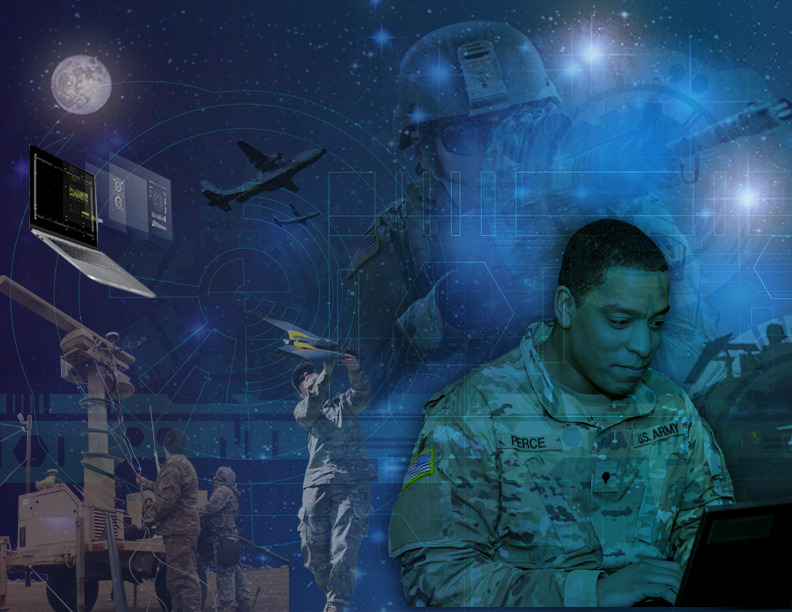 It uses intelligent agents to aid decision support systems located at the U.S. Transportation and European Commands—and saved the military millions of dollars right after its launch. IBM’s Deep Blue supercomputer defeats world chess champion Garry Kasparov in a pair of six-game chess matches. This win was widely viewed as a huge advance for AI. Just a year earlier, in their first match, Kasparov won vs. Deep Blue. Machine learning research that began in the 1980s achieves widespread practical use in major software service and mobile devices. Intuitive Surgical’s da Vinci becomes the first robotic-assisted surgical system to gain approval by the U.S. Food & Drug Administration for general laparoscopic surgery. The tool has since been used for more than 3 million minimally invasive procedures—including urology, gynecology, general surgery, thoracic surgery, and cardiac surgery. Computer scientist Sebastian Thrun and a team from the Stanford Artificial Intelligence Laboratory build a driverless car named Stanley. It becomes the first autonomous vehicle to complete a 132-mile course in the Mojave Desert—winning the DARPA Grand Challenge. Geoffrey Hinton coins the term “deep learning” to explain new algorithms that let computers recognize objects and text within images and videos. DARPA launches Urban Challenge for autonomous cars to obey traffic rules and operate within an urban environment. Google builds a self-driving car. Apple introduces Siri, a virtual assistant, for its iPhones. Siri is a spinoff from a project developed at SRI International’s Artificial Intelligence Center, and it uses voice queries and a natural language user interface to answer your questions, make recommendations, and perform actions by sending requests to a set of Internet services. Microsoft Kinect for Xbox 360 tracks 20 human features at a rate of 30 times per second, which allows people to interact with the computer via movements and gestures. China becomes a top player in AI research. IBM’s Watson supercomputing system beats the two best human players of the TV game show Jeopardy—demonstrating an ability to understand and answer nuanced questions that had previously stumped computer programs. Boston Dynamics unveils Atlas, an advanced humanoid robot designed for various search and rescue tasks. Robot HRP-2, built by SCHAFT Inc. of Japan, a subsidiary of Google, defeats 15 teams to win DARPA’s Robotics Challenge Trials by completing disaster response tasks, including driving a vehicle, walking over debris, climbing a ladder, removing debris, walking through doors, cutting a wall, closing valves, and connecting a hose. U.S. Department of Defense unveils “Third Offset Strategy,” which posits that rapid advances in AI will define the next generation of warfare. Steven Hawking, Elon Musk, and Steve Wozniak, and 3,000 researchers in AI and robotics write an open letter calling for a ban of the development of autonomous weapons. Google’s DeepMind AlphaGo defeats 3-time European Go champion Fan Hui by 5 to 0 at the ancient Chinese game Go, one of the most complex board games in history. Tesla and Ford announce timelines for fully autonomous vehicles. The U.S. Department of Defense increases its budget for investment in AI, big data, and cloud computing from $5.6 billion in 2011 to $7.4 billion in 2016. Sea Hunter, an autonomous U.S. warship, is designed to operate for extended periods of time at sea—without any crew. A 2017 Department of Defense directive, however, requires a human operator to be in the loop when taking a human life by autonomous weapons systems. Google’s DeepMind AlphaGo beats world champion Lee Sedol by 4 to 1 at the ancient Chinese game Go. Major advancements in AI have huge implications for healthcare; some systems prove more effective at detecting and diagnosing cancer than human doctors. Swarm AI, a real-time online tool, predicts the Kentucky Derby. AI boom in deep learning. AI changes how we do science. For example, physicists are using AI to help search data for signs of new particles and phenomena. Advances in AI chatbots for healthcare. At the United Nations’ Convention on Conventional Weapons, after a discussion of a potential ban on “killer robots,” twenty-two countries call for an outright ban on lethal automated weapons. A report from Harvard’s Belfer Center predicts that AI has the potential to be as transformative as nuclear weapons. Google’s DeepMind AI teaches itself to walk. The U.S. Department of Defense’s Project Maven uses computer vision, which is a combination of machine- and deep-learning (neural networks), to autonomously find objects of interest within massive amounts of video or still imagery from drones; it’s expected to be in use within war zones by the end of 2018. Vladimir Putin declares that “whoever reaches a breakthrough in developing AI will dominate the world,” and predicts that future wars will be fought by drones. Russian military unveils “robot army” with guns. Security passwords are replaced by machine learning. Behavior-based security monitors users’ devices and how and where a consumer uses their devices. Consumers can add biometric protection—such as using your fingerprint or face to unlock your smartphone. Alibaba language processing AI beats top humans at a Stanford University reading and comprehension test, scoring 82.44 against 82.30 on 100,000 questions. Astronomers use AI to spot 6,000 new craters on the surface of the moon. Paul Rad, assistant director of the UTSA Open Cloud Institute, and Nicole Beebe, director of the UTSA Cyber Center for Security and Analytics, describe a new cloud-based learning platform for AI to teach machines to learn like humans. Google Duplex’s AI assistant will call and make appointments for you (initially unveiled by Google as not revealing it’s a robot, but after immediate backlash it will now disclose that it’s a robot). It understands nuances of conversations (context) and brings natural language understanding, deep learning, and text to speech. Google pledges not to develop AI weapons and releases a new AI policy, but says it will continue working with the military.